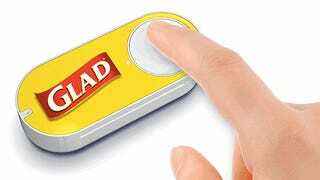 Amazon’s Dash buttons are $5 Wi-Fi enabled portals of pure consumerism — at least, if you use them how Mr Bezos would like you to. Or, if you’ve got a little programming skill, you can hack them to do almost anything. In a post on Medium, Edward Benson details how the Dash buttons work, and how he turned them into a cheap baby data-collection system. The buttons are basically just a Wi-Fi radio and a battery. They lie dormant until you push the button, when it activates, and then connects to your Wi-Fi network. But thanks to platforms like IFTTT, which can use one digital action to complete some other, completely different digital action, it’s easy to think of a bunch of different uses for the buttons — opening a smart door lock, turning on your coffee machine (!!!) or mass-poking all your friends on Facebook. The possibilities are just limited by your imagination and your Python skills. For the full write-up, including the script Benson uses to log events, head over to the Medium post.